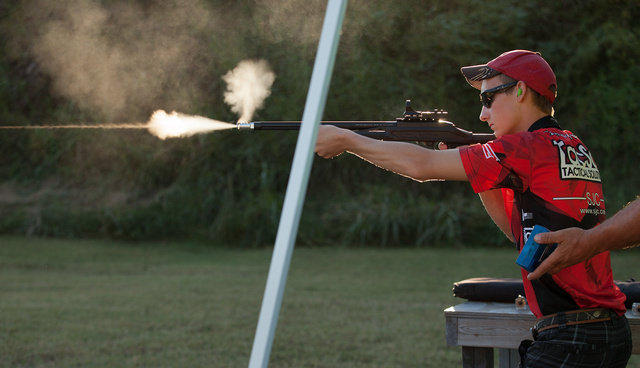 From NSSF 2015 World Steel Challenge. This entry was posted in rifle, training and tagged 10-22, 22LR, sport. Bookmark the permalink. Superman? Supergirl? Where are you? How do you get shots like this? Do you use a sound trigger for your camera, or just take a lot of pictures until something like this turns up?